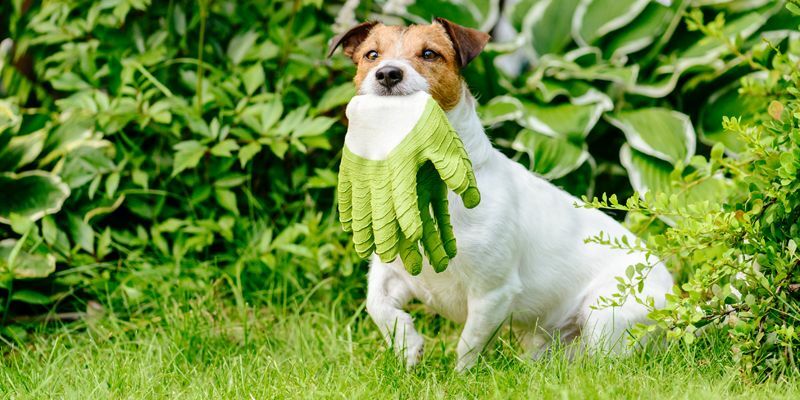 Some of the most dangerous spring and summertime fears for pets in your yard are common flowers and plants. The Lily of the Valley contains cardiac glycosides. When consumed by dogs or cats, this common perennial can cause vomiting, diarrhea, a drop in heart rate, severe cardiac arrhythmias, and possibly seizures. Any pet with a known exposure should be examined and evaluated by a veterinarian and treated symptomatically. Though beautiful and fragrant, hydrangeas can cause serious gastrointestinal issues when ingested. Symptoms include vomiting, depression/lethargy, and diarrhea. Daffodils can also be quite harmful. The greatest threat is the actual bulb (not the flower). These beauties can cause vomiting, extreme salivation, diarrhea, convulsions, low blood pressure, tremors, and cardiac arrhythmias. Oleander, also known as Rose-Bay, are dangerous. These blooms are gorgeous, but their flowers are very poisonous. When ingested, according to the ASPCA, they can cause colic, diarrhea (possibly bloody), sweating, incoordination, shallow/difficult breathing, muscle tremors, and possibly death from cardiac failure. Even the leaves and stems are dangerous, so it’s really best to keep your animals far away. Azaleas are also very unsafe for animals. In addition to the usual gastrointestinal symptoms, you may notice things like confusion, lack of coordination, or even paralysis. There are two types of crocus plants: one blooms in the spring and the other in the fall. The spring plants are more common and cause only gastrointestinal upset accompanied by vomiting and diarrhea in dogs and cats. However, the fall crocus (aka Meadow Saffron) is highly toxic and can cause severe vomiting, gastrointestinal bleeding, and multisystem organ failure with bone marrow suppression. Cat owners should beware of lilies! While some types, such as the Peace, Peruvian and Calla lilies, cause only minor symptoms when eaten, other varieties of the true lily family are deadly and highly toxic to cats, including Tiger, Asiatic, Easter, Japanese Show and Day lilies. Ingesting very small amounts – eating as little as two petals or leaves, or exposure to the pollen – can result in severe kidney failure.